- Contribution: 35’000 LBP/adult, 30'000 LBP/student between 12-17 y.old, 25’000 LBP/child below 11 y., covering program, guides and transportation, excluding food and drinks (Please bring the exact amount). - Reservation: Friday 22.02.2019 is the last day for Reservation. -	In case of bad weather condition, this event will be postponed. 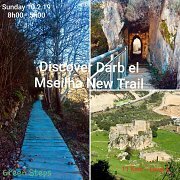 Join us to discover a new beautiful trail from Rashkida to Batroun Village passing through Hamat, exploring on our way beautiful views of the sea, the river channel, the fortress and the surrounding mountains; ending our day by a visit to Al Mseilha Fortress before going back home. 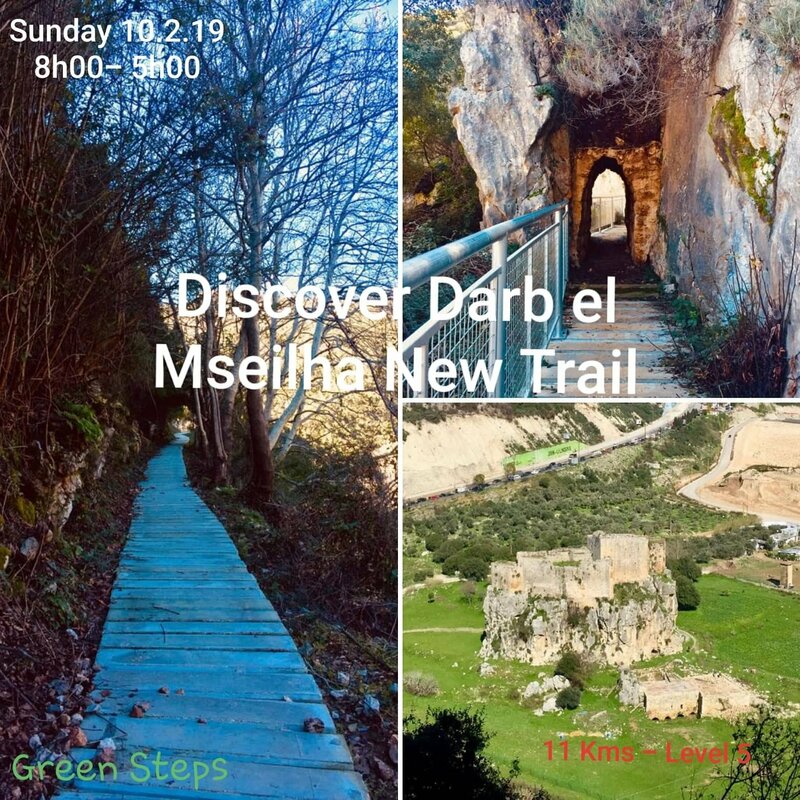 We’ll start our hiking trail from Rashkida village in Batroun district, taking a newly created trail along the water canal of Nahr el Joz, passing through Hamat village, Al Mseilha till we reach Batroun village. The trail includes adventurous passages, old stone bridges and mills. You’ll enjoy beautiful scenery of the sea, the river channel, Al Mseilha fortress and the surrounding mountains all the way. We’ll take the bus from Batroun to visit Al Mseilha Fortress and have a stop to sip a Fresh Lemonade. •	Needs for the hike: HIKING shoes, backpack, water bottle of 1 liter min, warm jacket, camera, ID card, insurance card, smiley face and full energy. •	Contribution: 35’000 LBP/adult, 30'000 LBP/student between 12-17 y.old, 25’000 LBP/child below 11 y., covering program, guides and transportation, excluding food and drinks (Please bring the exact amount). •	Return time : around 05h00 pm. - DEPENDING ON THE WEATHER CONDITION, THE EVENT MIGHT BE POSTPONED TO ANOTHER DATE. Rashkida is a village located in the Batroun District in the North Governorate of Lebanon. It is located on a hill facing the Mediterranean sea at 400 m elevation. The Mseilha Fort is a fortification situated north of the city of Batroun in Lebanon. The current fort was built by Emir Fakhreddine II in the 17th century to guard the route from Tripoli to Beirut. The fort is built on a long, narrow limestone rock near the Nahr el-Jawz River.